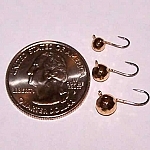 These really were our very first offerings in the Heavy Metal Tungsten jig line up back in 2010. 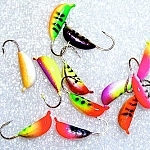 And yes they are now back by popular demand. 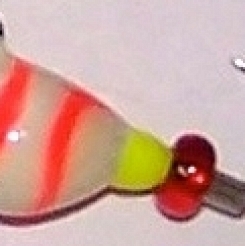 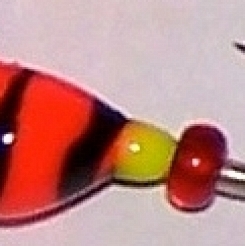 These jigs sport the original ultra hard epoxy finish and unique swirl pattern, a genuine Swarovski crystal and a red bead on the hook shank. 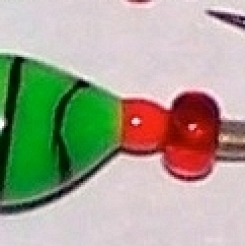 The bead can be easily removed by sliding off the tiny piece of glow tubing followed by the little flat sided red bead. 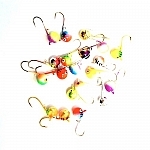 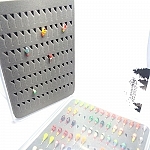 These epoxy crystal jigs are made from premium grade tungsten (wolfram) and sport sticky sharp Japanese hooks. 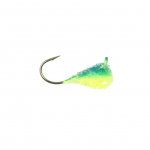 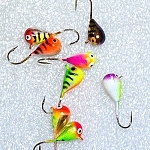 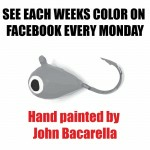 These jigs are also known for having clear eyes for hassle free tying. 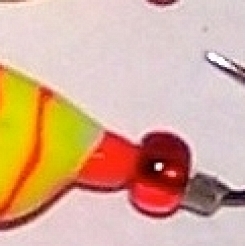 You will also note that the crystal is epoxied into the front of the jig body as opposed to being pointed up. 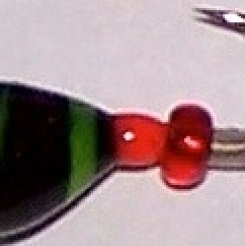 We believe that pointing the crystal in the direction of the fish produces more strikes and improves the attractive qualities of the jig versus pointing it up where it's reflection is unlikely to be seen (since most fish tend not to hunt looking down).